The committed club is a year-long attendance challenge that will recognize and reward you for consistently showing up to FH each month. It will be broken up into monthly, quarterly, and yearly milestones with rewards along the way. In order to achieve committed club status, you will have to attend at least 15 classes during each calendar month. At the end of each month, quarter, and year, we will recognize those individuals who have attended at least 15 classes during EACH of the coinciding calendar months. Monthly – At the end of each month, we will recognize the monthly committed club. All members of the committed club for that month will be entered into a raffle to win some sweet prizes. Example: Everyone who attends at least 15 classes from April 1, 2019 to April 31, 2019 will be recognized as a member of the committed club for April and will be entered into the April raffle. Two winners will be drawn. Quarterly – At the end of each quarter (3-month period), we will recognize the quarterly committed club. All members of the committed club for that quarter will be entered into a raffle to win some sweet prizes. Example: Everyone who attends at least 15 classes EACH in April, May, and June will be recognized in the 2nd quarter committed club and will be entered into the quarterly raffle. Yearly – At the end of 2019, we will recognize and reward the individuals who have been in the committed club for all 9 months of 2019. This means you will have to get at least 15 visits in EACH of the 9 calendar months of 2019. Monthly – We will raffle off 2, $50 FH Gift Certificates which will be applied to your membership. The next 10 out of that raffle will receive a free Fit Aid/protein sample. Quarterly – We will raffle off 2, ½ month credits to be used towards your next monthly membership payment. The next 10 out of that raffle will receive a free Fit Aid/protein sample. Yearly – Everyone who achieves committed club status for the entire 2019 will earn a limited-edition, FH Committed Club t-shirt that they can proudly wear for the rest of their lives. In addition, we will raffle off 3 Free Months of Unlimited FH classes to be used in 2020. The visits will be tracked by signing in to Zen Planner each day on the computer or via the app. Yes! Open gym will count as a visit, just remember register on Zen Planner. If I do a two classes on the same day, will it count as 2 visits or 1 visit? Thats all on you. You are responsible for signing in each day so please remember to do this before every class and open gym. If you forget to sign in, you can reach out to one of our coaches to add you to the attendance roster for that day. 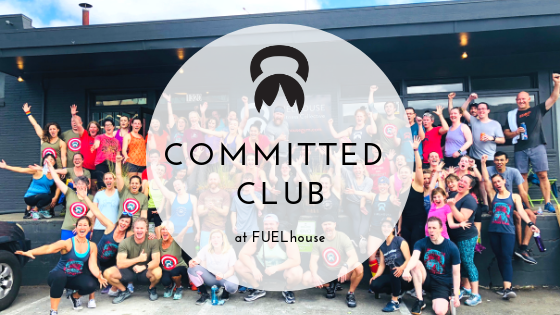 Posted on March 30, 2019 by Molly Kieland and tagged fuelhouse committedclub epichumans. OMG these two!!! We just love Katie and Greg for so many reasons. It’s been so amazing being a part of their combined fitness journey while at FH. And a little diddy that you may not be aware of…The Nakata’s are in charge of designing our NEW Front Entrance/Retail Area at FUELhouse. We cannot wait to reveal the finished product sometime by May/June! Katie and Greg are both Licensed Architects and work in Seattle. In our down time we can be found at home working on our house we named The Tree House. Katie discovered FH several years ago when trying to find a gym nearby her previous office. The desire to be healthy and active. Greg started coming to FH to support Katie and her goals but now comes to pursue his own goals. Katie and Greg love dead lifting! Katie also loves snatches and BB cleans! Katie and Greg are hoping to participate in TSC in 2019 and PR. Our personal goal that we recently achieved was to pass the 7 required exams for professional license in architecture. Canlis, where we celebrated our 5 year anniversary! The ability to exercise in a supportive environment. 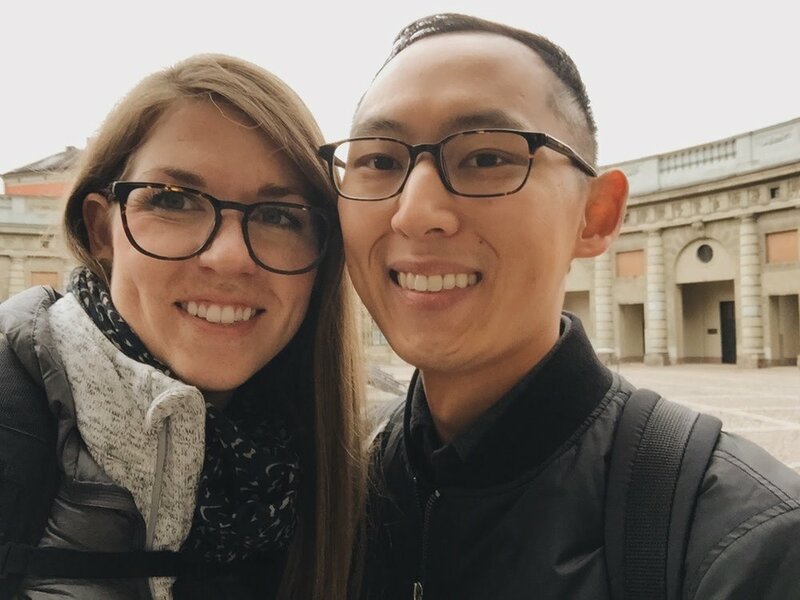 Posted on March 5, 2019 by Molly Kieland and tagged memberofthemonth epichumans epichumanproject fuelhouse fuelhousecrew.